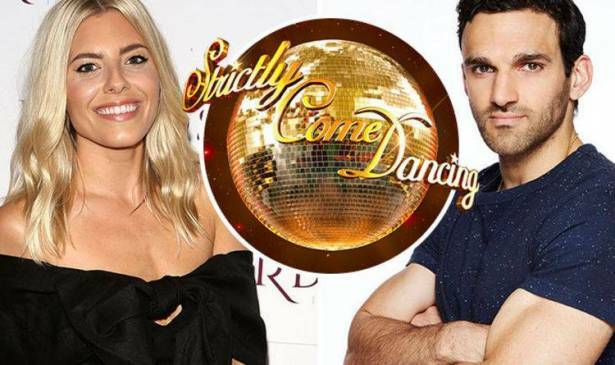 It seems that Strictly Come Dancing celebrities are like buses – you spend all summer speculating who’s gonna take part, and then a load come along at once. And after months and MONTHS of guessing who’ll soon be trying their hand at the Cha Cha, fans of the popular BBC dance competition are getting into the sequin season as all of the contestants are soon to be confirmed! We already know who’s going to be taking Len Goodman‘s coveted role on the judging panel as it was revealed ballroom legend Shirley Ballas will be sitting next to Strictly veterans Craig Revel-Horwood, Bruno Tonioli and Darcey Bussell. There’s also been some changes with the professional dancers as it was announced current champion, Joanne Clifton has stepped down as well as Oksana Platero – who danced with Judge Rinder – and Natalie Lowe. However fear not because three new talented ladies in the form of Amy Dowden from South Wales, Australian Dianne Buswell and Nadiya Bychkova from Ukraine are ready to take to the famous Strictly dance floor and we’re sure they’re going to be great! Well, now the 2017 contestants have been rolling in we’re literally counting down the days until the BBC One show kicks off again. And with a Saturday’s babe, legendary entertainer and popular Loose Women lady on the books already, Strictly is looking set to be one of the hottest series ever. Here’s a run-down of the celebrities who have confirmed their part in the show. You’re welcome!